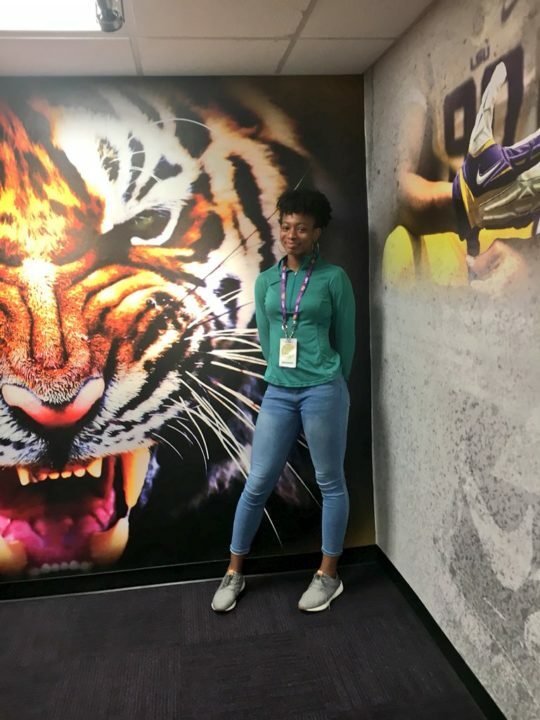 Class of 2019 middle blocker Anita Anwusi has committed to the Louisiana State University (LSU) women’s volleyball program. Back in June, Anwusi was named to the U.S. Women’s Junior National Team that played in the 2018 NORCECA Women’s U20 Continental Championship in Mexico. Beyond standing at 6’3″, she owns a 10’8″ approach touch. She will also be a senior this upcoming semester at Alief Hastings High School in Houston, Texas. Just a few days ago she was named to the All-Greater Houston preseason volleyball first-team. In terms of club play, Anwusi plays with Houston Juniors and the HJV 18 Elite squad after playing with the 17 National team. LSU finished the 2017 season at 20-10 overall and 11-7 as a member of the Southeastern Conference (SEC) en route to an NCAA Tournament appearance. The Tigers have four middle blockers on their 2018 roster, including one senior set to depart prior to 2019 when Anwusi joins the group.